Can you remember your first days of school? I remember the uneasy feeling of excitement and anxiety all at once. What I don’t remember is pain. Unlike thousands of children across the country, I was fortunate to start school without a cavity or dental pain. In the U.S., nearly 1 in 4 children entering kindergarten have had at least one cavity, and parents report that of their children under age 6, more than 10% had dental problem in the last year that can make it difficult to learn, eat and smile. Back to school can be a crazy time for families to scramble for new shoes, new pencils and in many states, dental screenings. A previous look at states that require dental screenings for school entry found mixed results. Enacting such laws requires a clearly articulated policy strategy. Starting with a clear purpose for the screenings and a process for using the data collected through the screenings is necessary to achieve the stated policy goal. While dental screenings have the potential to address the immediate oral health needs of students, they also uncover the missed opportunities to prevent dental caries, the disease that causes cavities. Unlike thousands of children across the country, I was fortunate to start school without a cavity or dental pain. The science is clear: we can prevent nearly all dental caries. Preventing cavity-causing bacteria from being passed from caregiver to child before preschool puts children on a good path for a healthy mouth. Tooth decay is highly concentrated in children with lower-incomes and we have programs that allow us to focus on engaging families in these programs. Specifically, Medicaid and CHIP can support the vision of preventing dental caries and the shared responsibility for working with families to understand how they can prevent and manage the disease is the future. As we reflect on the foundation for learning as the school year begins, the pillars for oral health success are relatively simple. Assess the risk of young child for tooth decay. It doesn’t take a dentist to determine if a child is at high risk for caries. Many professionals can be trained and should be paid to talk with parents of young children to determine if a child is at high risk for tooth decay. Care can then can be tailored to that child’s risk level to prevent caries or to work with a family to bring the disease under control. Fluoridate water sources. Fluoridated water has been hailed by the CDC as one of the greatest public health wins of the last century. An analysis has shown that children under age 6 in fluoridated communities Medicaid can save $6 for every dollar spent fluoridating the water. Educate families on oral health. All health professionals, educators and other professionals who are trusted brokers of information to families can reinforce the science of preventing dental caries. Weaving the message of strategies from assisting pregnant women and new parents to have healthy mouths to supporting healthy eating habits to encouraging regular tooth brushing — all of these need to be heard inside and out of a dental office. Brush your teeth. Fluoridated toothpaste is the best defense we all have to prevent cavities. As much as $3 for every dollar spent on early toothbrushing programs could be saved by Medicaid annually. This is the one lifelong habit that benefits everyone. Every child should have access to their own toothbrush and fluoridated toothpaste in their back-to-school routine. 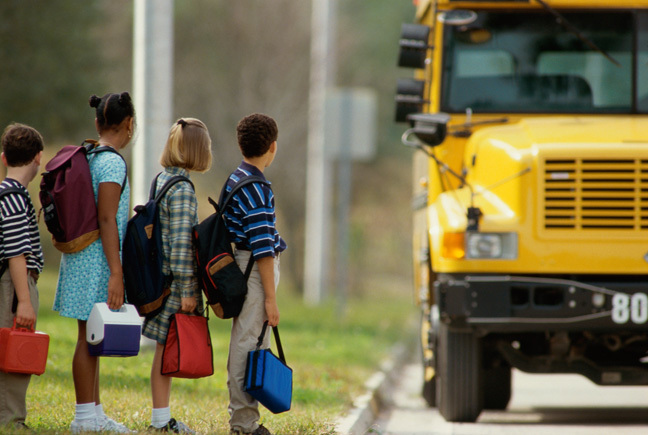 As I watch kids start filling school buses this fall, I’m anxious to see what can be done this year to eliminate the unnecessary pain of a toothache from interfering with a child’s education. But I’m hopeful. I’m hopeful that with attention to oral health, dental pain will be a memory for this generation, not a reality of the next.